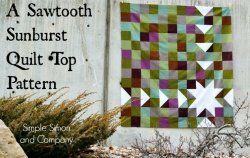 "Because this month we were talking about half square triangles I really wanted to put together a quilt top that featured how fun half square triangles can be. 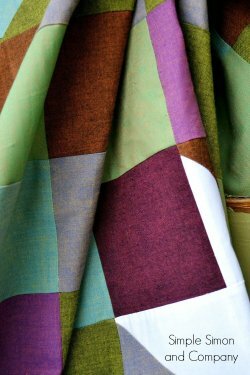 Soooo….I made this lap quilt using nothing but plain square blocks and a few half square triangles. And I really like how it turned out! 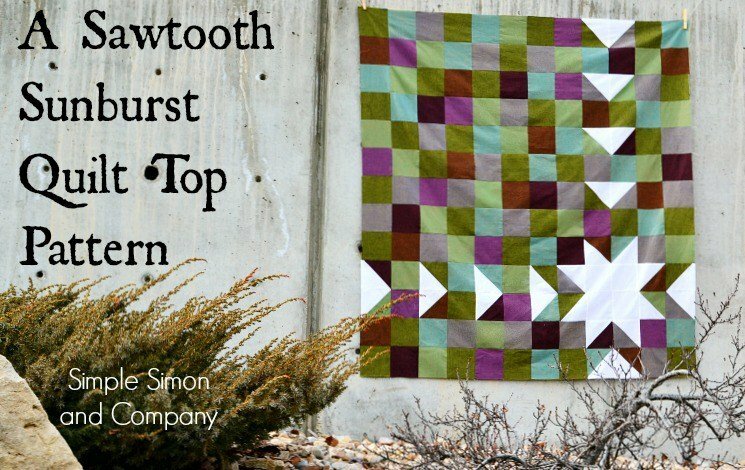 "I’m calling it a “Sawtooth Sunburst” quilt top. (Even thought technically it’s not a sunburst design it reminds me of one so….) It was really easy to make and it you’d like to make one as well just follow the instructions below!"